What is Kombucha and should you drink it? 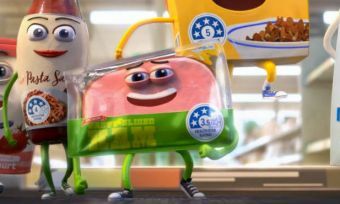 The emphasis on health and fitness over recent years has stretched further than simply hitting the gym and eating your greens, with plenty of consumers searching high and low on supermarket shelves for the next superfood. Probiotics, anti-inflammatories and antioxidants have become the battle cries of health food stores, with Australians able to pick up all sorts of products that aim to make you healthy, inside and out. One such product is kombucha – a drink that has been a hot topic among both health professionals and foodies alike. While it has reportedly been around for hundreds of years, kombucha has only transitioned from niche cafés into local supermarkets in the last few years, with plenty of brands now jumping on the perceived health bandwagon. But what exactly is kombucha, and is it worth it? In this Canstar Blue article, we look into whether or not kombucha lives up to the hype, or simply leaves a bad taste in your mouth. In simple terms, kombucha is a type of sweet tea that is fermented for close to two weeks. The fermentation process not only gives kombucha its unique taste, but allows for plenty of good bacteria to form, giving your body a healthy dose of probiotics in every drink. SCOBY, otherwise known as the Symbiotic Colony of Bacteria and Yeast, is the catalyst for the fermentation, and can sometimes still be found in the drink when you buy it off the shelves. But don’t worry, you can still ingest it, although no one will blame you if you don’t, as it’s essentially a super concentrated version of kombucha. Kombucha is slightly fizzy – and even contains low levels of alcohol – but won’t be the best thing to grab at the supermarket if you’re looking for a sugar hit, despite coming a variety of flavours. If you’re looking for something a bit healthier than soft drink though, it just might be the drink for you. Tea is generally thought of as healthy, as is anything with plenty of probiotics, so it stands to reason that products like kombucha should be healthy, too. But what exactly can kombucha do for you? As mentioned, kombucha has a healthy dose of probiotics, with a 2014 study published in Food Microbiology stating that kombucha is a good option for those looking to improve their gut health. Similarly, kombucha has been found to have a healthy dose of antioxidants, thanks to the fermentation process, meaning your body will be able to fight off any sickness easier. But when it comes to other health benefits, there’s plenty of debate. While kombucha has a reputation as a cure-all for plenty of diseases, most studies undertaken have been on animals, with only a few full studies studying the effects on humans. A study quoted in a 2014 publication reported a reduction in cholesterol levels, blood pressure and inflammatory problems in rats, while also an improvement in eyesight, as well as hair, skin and nail health in the tested rodents. 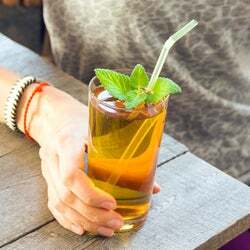 However, the authors of the study published within Food Microbiology stated that “there is still dispute over the beneficial effects of kombucha drink. There has been no evidence published to date on the biological activities of kombucha in human trials”. Similarly, a 2018 study published in the Journal of Food Science indicated that more research was needed to better evaluate the benefits of kombucha. As a result, it’s best not to put all your hopes on kombucha, particularly if you’re looking to reverse a serious illness or disease. While tests and studies are being undertaken, it’s best to seek help from medical professionals if you’re worried about a certain issue. Can I make my own kombucha? 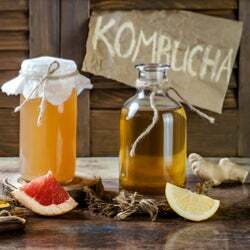 Kombucha can also be made at home, with plenty of kombucha recipes readily available online, but many health officials and kombucha producers warn of potential dangers during the fermentation process, which can lead to an upset stomach, or worse. Additionally, if kombucha is not properly refrigerated, it will continue to ferment, meaning it will get closer to vinegar than a tea, which could potentially spoil your mood if you’re not careful. With its increase in popularity, kombucha has become widely available, meaning you don’t have to visit pop-up cafés for your next hit. With plenty of brands available, you won’t be short on variety the next time you visit your local health food store or supermarket, with online outlets even selling in bulk. While it’s not the cheapest drink available, it might be worth the price tag if you’re looking for an extra health kick. While there’s still plenty of debate when it comes to some of the perceived health benefits associated with kombucha, an increase in probiotics and antioxidants can be the difference between calling in sick and ticking items off your to-do list – if you believe some studies – so it might be worth trying out. However, whether you develop a kombucha habit or not will come down to your personal tastes and preferences. And be sure to seek the advice of your GP before making any big changes to your diet.